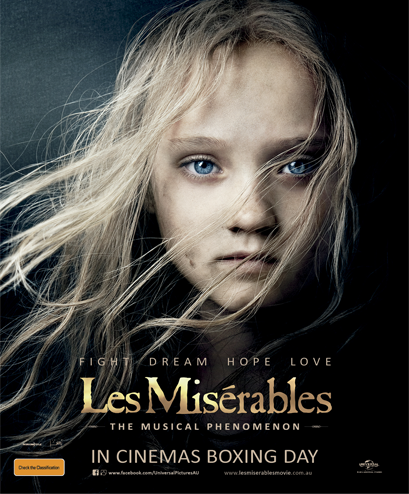 Win tickets to see Les Miserables, starting on Boxing day! You've seen the musical, you've sung the songs, now get ready for the movie! In December 2012, the world’s longest-running musical brings its power to the big screen in Tom Hooper’s sweeping and spectacular interpretation of Victor Hugo’s epic tale. With international superstars and beloved songs—including I Dreamed a Dream, Bring Him Home, One Day More and On My Own—Les Misérables, the show of shows, is now reborn as the cinematic musical experience of a lifetime. If you need an excuse to escape the ham and mangoes on Boxing Day, enter our comp to win tickets here!